Deepak Chopra is an Indian-American physician, a holistic health/New Age guru, and alternative medicine practitioner. Chopra has taught at the medical schools of Tufts University, Boston University and Harvard University. He became Chief of Staff at the New England Memorial Hospital (NEMH) in Massachusetts, before establishing a private practice. In 1985, Chopra met Maharishi Mahesh Yogi, who invited him to study Ayurveda. Chopra left his position at the NEMH and became the founding president of the American Association of Ayurvedic Medicine, and was later named medical director of the Maharishi Ayurveda Health Center. In 1996, Chopra and neurologist David Simon founded the Chopra Center for Wellbeing, which incorporated Ayurveda in its regimen. The University of California, San Diego School of Medicine and the American Medical Association have granted continuing medical education credits for some programs offered to physicians at the Chopra Center. In 2009, Chopra established the Chopra Foundation to advance the cause of mind/body spiritual healing, education, and research through fundraising for selected projects. Chopra has written more than 70 books, including 21 New York Times bestsellers. 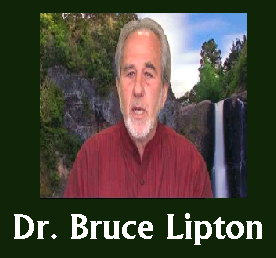 His books have been translated into 35 languages and sold more than 20 million copies worldwide. Chopra has received many awards, including the Oceana Award (2009) the Cinequest Life of a Maverick Award (2010), Humanitarian Starlite Award (2010), and the GOI Peace Award (2010). For more information about Deepak Chopra visit www.deepakchopra.com/‎ . Dr. Wayne Dyer is an internationally renowned spiritual and personal development speaker and author of over 30 books, many audio programs and videos, and has appeared on thousands of television and radio shows inspiring millions of people from around the world. 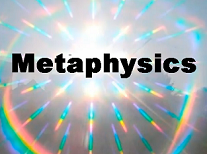 Metaphysics is a traditional branch of philosophy concerned with explaining the fundamental nature of being and the world, and also dealing with First Cause and the Nature of Being. Meditation videos for peace, relaxation, physical, mental, emotional and spiritual healing, consciousness awakening, releasting/clearing negative energies and more. Doreen Virtue is a spiritual doctor of psychology and a fourth-generation metaphysician who works with the angelic, elemental, and ascended-master realms in her writings and workshops.